Sold a Single Family home in 2019 for approximately $300K in Winter Haven, FL. Michael came and met with us before we were sure about when to put our house on the market. He was very knowledgeable about our house and the area. He had it under contract in less than 3 weeks with multiple offers while other homes for sale in our neighborhood had been sitting inactive for months. His attention to detail and knowledge made selling our home very easy. I highly recommend him! Michael Stone was the most effective, responsive and professional Realtor that I have ever dealt with – and I have dealt with several. The property I was selling was at a remote location from my home and the sale was essentially effortless for me. Michael put an exceptional advertising brochure together in a day and had the property listed a day after we talked. There were multiple showings and an offer within a couple days. I feel so fortunate to have been able to deal with Michael and his real estate firm. I would recommend him very highly to anyone interested in selling property. He was exceptional! 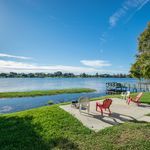 Bought a Single Family home in 2018 for approximately $225K in Auburndale, FL. From start to finish, Jessica made our home buying experience a pleasurable one. She made herself available to show us properties when it was convenient for us and worked well with our busy schedule. Jessica made sure all the properties she showed us fit within our budget, as well as our standards. When it came time to submit a contract, she was very thorough and made sure the whole process went as smoothly and quickly as possible. We highly recommend her for all your home buying or selling needs! 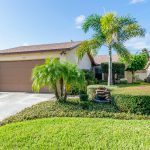 Bought a Single Family home in 2018 for approximately $325K in Poinciana, FL. Refer to the 5 star ratings above. Jessica was indeed all of those, and made us feel as if we were her only client. When we first met, she asked a few questions about our likes and dislikes, and after a few showings the same day, quickly appreciated what we were looking for and narrowed down her search parameters. By the end of the day (yes, one day) we had found 2 homes that we loved - the difficulty was only in the choosing. Jessica was quick to provide intelligent, detailed answers to questions (and there were many, esp. about local R/E transactions, as were from out of state). Anything she did not know she found out and promptly informed us. Excellent communication skills, and responses to texts at all hours. She guided us through the (remote) closing process, and was there for us, and continues to be there for us after the sale. We would absolutely engage her services again. Bought a Single Family home in 2018 for approximately $200K in Winter Haven, FL. What a awesome realtor she helped me find my dream home . Very knowledgeable and caring . And listen to all my wants and needs to finding the perfect house for me, and lots of patience. I would recommend her 100 percent to use her for all your realtor needs . Bought a Single Family home in 2018 for approximately $150K in Bartow, FL. Jessica help me and my little family find a house and she was the most helpful person we could have ever find. She never stop making sure we found the prefect house for us. Because of her excellent skills we found our forever home! Sold a Single Family home in 2018 for approximately $325K in Winter Haven, FL. Words can't express how grateful we are to The Stones Real Estate Firm. Michael and Deanna went above and beyond to make us feel like we were valued clients. Our sale went through very quickly (under contract 2 days after listing!) and it was due to their thoughtful marketing plan, aerial drone photos, and assistance with detailed staging of the home. Michael was expressed patience with our million+ questions and a thorough knowledge of the entire real estate transaction process. Would gladly use them again! Sold a Single Family home in 2018 for approximately $200K in Winter Haven, FL. From the day we met with Michael, we knew we had chosen the realtor for us! He is highly knowledgeable, and he guided us through every step of the sale of our home. He listed our house and immediately let other realtors know about it. Showings started within the first day and, in fact, the house sold in one day! If you are looking for a realtor who will be on your side, who will listen, answer questions, keep you informed, and make things happen ... look no further! Contact Michael and Deanna Stone! One meeting with Michael and bingo, he was the one to sell my father’s home. Only had to meet that one time, he was prepared with all market statistics, pricing and such! Everything was done smoothly, even though I live hours away. Michael had a contract with 2 weeks of putting it on the market and closed within a month. Not even 8 weeks and it closed. Very highly recommended and an amazing agent!! 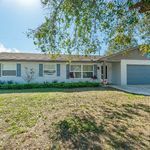 Sold a Single Family home in 2018 for approximately $175K in Winter Haven, FL. I am from out of town and in need of selling my fathers home over 2 hours away. After making an appointment to meet with Michael to discuss the sale, he had already prepared with selling prices and market values. He came with All the paperwork and was ready with the details. That was very impressive to me that he came prepared and every reason to use him. He knew what he was doing. That 1st meeting with him was all I needed to do to get it on the market and have a contract in less than 4 weeks. Closing was set for 4 weeks after that and the Closing went smooth as everything was overnighted to me and bank transfer was done that day. Excellent communication via email and text/phone. Very impressed and Very highly recommended! Jessica is for sure the best!!!!! Not only as a Realter but also as a human being. She was so kind and very honest through the whole process of buying our home. At the end I can tell we bought the perfect home and also I made a beautiful friend. For that reason I gave her 5 big shining ?? ???????? Sold a Single Family home in 2018 for approximately $300K in Winter Haven, FL. My husband and I have worked with Mike and Deanne Stone for the past 10 years. They are loyal to their clients and very honest. We highly recommend them! Bought a home in 2018 in Circle, MT. Jessica was terrific. She helped us through the process of buying our first house and the other many things that come with that. Anything we needed, at any hour, she was there to help. We enjoyed our time working with her. Bought a Single Family home in 2018 for approximately $200K in Mulberry, FL. Jessica was an excellent realtor and made my first time home buying process unforgettable. She is very knowledgeable about the home buying process and has multiple resources available for any additional need. She was patient and kind even with our lengthy request list. She made the homebuying experience fun! 10/10 would recommend! 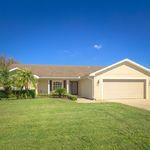 Sold a Single Family home in 2018 for approximately $425K in Auburndale, FL. The Stone's were super responsive to all of our calls or texts. We were left wondering what was going on with our listing. We highly recommend The Stones Real Estate. Sold a Single Family home in 2018 for approximately $225K in Winter Haven, FL. I highly recommend The Stones Real Estate Firm. Our house went under contract in less than a week and sold for full asking price! Michael's knowledge of the real estate market and amazing marketing skills are unparalled. Thanks again to Michael and the Stone team for making our home selling experience everything we had hoped for. 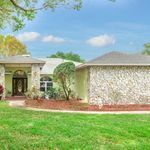 Sold a Single Family home in 2018 for approximately $250K in Frostproof, FL. We did some research prior to selecting a realtor when we decided to list our home. I had only purchased our home two years prior and considered calling the realtor who sold it to me but my gut kept telling me otherwise. Thankfully, I listened! I thought the realtor who sold me my home was great, informative and had my best interest in mind but I was wrong. Mike and his wife are just that and really had me reconsidering my opinion regarding my previous experience. 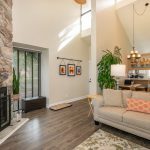 My home was listed quickly with professional pictures and immediately under contract. Mike was in touch often and I really appreciate his expertise. Thank you Mike for making what should be a stressful process, a piece of cake! 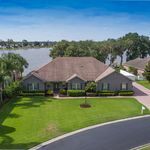 Sold a home in 2018 in Winston, Lakeland, FL 33810. Candice is very easy to contact.Candice is very knowledgeable with the real estate markets. Would highly recommend her. She showed the property and kept in constant contact throughout the . The office staff were also helpful with any questions or concerns. The property was listed on time with excellent pictures and discription. 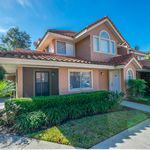 Bought a Single Family home in 2018 for approximately $250K in Auburndale, FL. From negotiating to expertise in advise to closing on our new home, Mike Stone is the finest realtor I’ve met. This is our 4th home purchase, and even in a sellers market, we felt in control and comfortable as buyers!! Bought a Single Family home in 2018 for approximately $275K in Winter Haven, FL. Jessica is simply a great realtor. We saw a house online we wanted to see and knew it would sell fast. We contacted her and we had a showing almost immediately and she guided us on exactly what to do so we could get the house. She will text you back within minutes even if it’s a Sunday. She’s fast, very nice, and knows the area!!! We needed clearance with building on to the house and she was getting that clearance the next morning at 8am. She’s very aggressive on getting what you want and getting the results that fit you. Love her and so thankful I ran into her and met her!!!!! 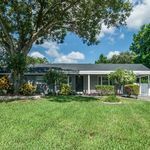 Sold a Single Family home in 2018 in Fort Meade, FL. My experience was amazing!!!! She was very helpful and explained everything to me with no surprises. I will Highly Recommend Her For Service with reality. Thanks So Much Jessica You Deserve A Bonus. 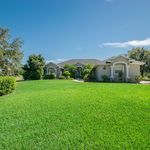 Bought a home in 2018 in Agricola, Fort Meade, FL 33841. The best word to describe the transaction with Jessica is "Awsome!". She catered to any need that I had about the deal or any questions that needed to be answered during the process. A very Professional Woman. Such a Pleasure doing business with her. Give her a chance and you Will be Very Satisfied. 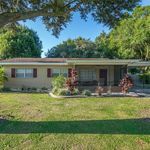 Bought a Single Family home in 2018 for approximately $250K in Winter Haven, FL. She is willing to go the extra mile and help in any matter. This made for an easier home buying process. She immediately responds to calls or texts unlike most local realtors. Mike was AWESOME from start to finish in helping my wife and I sale our home. We were in need to relocate in a short period of time and Mike was helpful in setting a price and the negotiations. Not sure if selling a home is suppose to be this simple and stress free but Mike made it that way! Best real estate agent I’ve ever had. I was selling my home but was living in a different city. Michael was hands on and helped me sell my home in so many ways. I strongly recommend using him if you are a buyer or a seller. Best real estate agent I've ever had. I was selling my home but was living in a different city. Michael was hands on and helped me sell my home in so many ways. I strongly recommend using him if you are a buyer or a seller. Mike and Deanna should absolutely be your choice to help buy or sell your home. 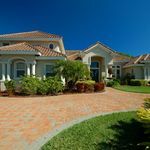 They are professional, extremely courteous, and work very hard to find you what you need whether it be a home or a buyer. Hands down I would use them in the future and would recommend them to anyone I know. Strong professionals with great knowledge of the area! 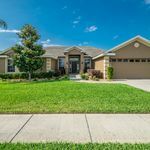 Sold a Single Family home in 2017 for approximately $250K in Clermont, FL. Michael sold our condo within three weeks. He is so professional and walked us through the process so easily. Whenever we had a question he was right there with an answer. He really knows the real estate business. If we ever need to sell a home again we certainly would call Michael. Selling a home is always a stressful experience, but not when The Stones sell your home. Michael and Deanna are professional, knowledgeable and always available to answer your questions and give you great advice. They sold my home in 9 DAYS!! I would trust The Stones again with the next sale of my house. Thank you for making this experience very easy. The Stones are great. Customer service beyond anything we could imagine or expect. Thanks for all you did Mike and Deanna!!! Bought and sold a Single Family home in 2007 in Winter Haven, FL. 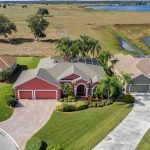 Bought and sold a Single Family home in 2017 for approximately $250K in Auburndale, FL. I would recommend The Stones to anyone. They are very knowledgeable and helped us every step of the way in the process of both selling and buying our new home. Sold a Single Family home in 2017 for approximately $275K in Winter Haven, FL. 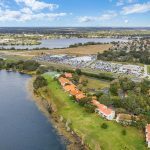 Bought a Condo home in 2017 for approximately $75K in Winter Haven, FL. The Stones were extremely helpful in finding the perfect place for us and for meeting us when it was convenient for us. I would highly recommend them for your real estate needs. 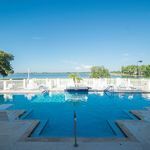 Sold a Condo home in 2017 for approximately $100K in Winter Haven, FL. Jim Burns,	3640 crump rd winter haven fl. 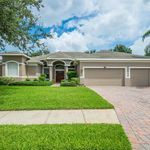 Sold a Single Family home in 2017 for approximately $625K in Winter Haven, FL. My wife and I were thrilled with the professionalism of the Stones ! From the listing advice, to the excellent photos , to the promotion of our home , great people to work with! Sold a Single Family home in 2017 for approximately $225K in Winter Haven, FL. He did a great job.  Id recommend the Stone's for all of your house buying needs. They were super helpful and friendly and made the whole process quick and painless. Bought a Single Family home in 2017 for approximately $400K in Winter Haven, FL. We loved working with The Stones on the recent purchase of our home. They are very knowledgeable and helpful during the whole process. We would definitely recommend using them for your real estate needs! Bought a Single Family home in 2017 for approximately $300K in Winter Haven, FL. We moved from Virginia and went from accepting a new job in Florida to moved into our new home in Winter Haven in about 6 weeks. We couldn't have done that without Mike. He found us the perfect home in the best school district in the area and we couldn't be happier. What first attracted me to The Stones was their website. I knew if they put that much effort in maintaining such a professional and helpful site, that they were clearly focused at their customers and I wasn't wrong. Top-notch service for sure. 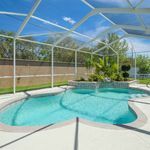 Mike's knowledge of the local area and features and concerns to keep in mind when looking at FL homes really focused our search and got us in our home right on time. If you go with The Stones, I'm certain you won't be disappointed. 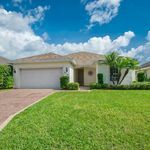 Sold a Single Family home in 2017 for approximately $200K in Auburndale, FL. The Stones are jam up and I would 100% recommend them. We sold our home, bought a new home and the process was very smooth. If and when we move again one day, the Stones are my first call. Mike did a excellent job listing and selling our house, and helped us buy a beautiful new home. He was a professional thru both transactions and assisted in the closing for both homes. His knowledge on how to show the home helped. Our home was listed for only 10 days before we had a offer we could accept. Excellent job Mike! I would recommend Mike to anyone who would think about selling or buying a home. Great people! The Stones helped us sell our home in less than 24 hours. They also helped us buy our new home within a tight time frame. I have my dream home now but if I ever need a Realtor again, I would not even consider anyone else. The Stone’s are an amazing couple who made buying our dream home possible! If we hadn’t had their guidance and support, we would have given up on our home. Sold a Single Family home in 2016 in Winter Haven, FL. The Stone's were very attentive to our needs and were available anytime we had questions. They did a wonderful job marketing our home and getting it sold quickly. 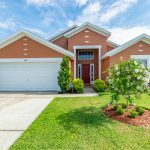 Bought and sold a home in 2017 in Lucerne Park, Winter Haven, FL 33881. 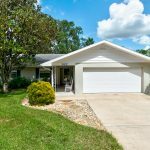 Sold a Single Family home in 2016 for approximately $225K in Bartow, FL. Great people! The Stones helped us sell our home in less than 24 hours. They also helped us buy our new home within a tight time frame. I have my dream home now but if I ever need a realtor again , I would not even consider anyone else. Bought and sold a Single Family home in 2013 for approximately $675K in Winter Haven, FL. If you're looking for a home or want to sell your home we strongly recommend you to work with the Stones. We worked with Michael, he found us a beautiful home that met our wish list and he sold our house in 3 days, that's right, 3 days! The pictures he takes to put on their website are amazing, he does an awesome job with that. Michael and Deana are very professional, knowledgable and honest. We were very pleased to work with them. If we happen to want to sell our house in the future or buy another property we would definitely work with the Stones again. I wouldn't recommend anybody else. Thank you Michael! 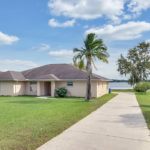 Bought a Single Family home in 2016 for approximately $150K in Lake Wales, FL. 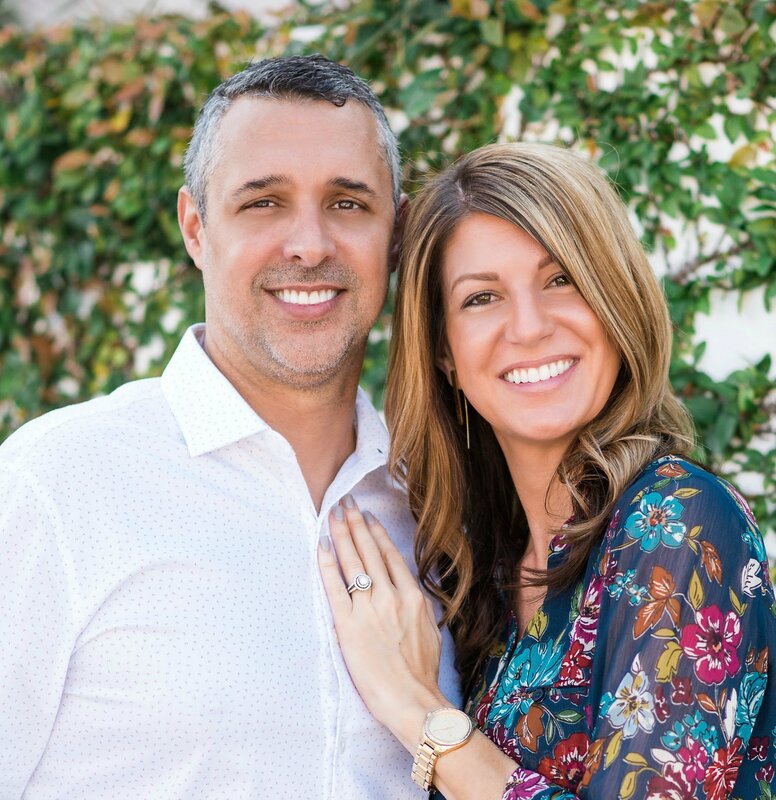 The Stone's are an amazing couple who made buying our dream home possible! If we hadn't had their guidance and support, we would have given up on our home. Our experience working with The Stones was magnificent. Michael is very professional and he has a brilliant knowledge of the real estate business. It was a comfort to have a Realtor who liked to be totally involved in every aspect of correspondence. We couldn’t have chosen a better company to help with the sale of our home. Thank you Michael for everything! I have purchased two homes from Michael and Deanna Stone and I will surely use them again in the future when we want to buy again. Our 1st property is now a rental property and is working for us by bringing in additional income! 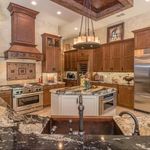 Working with the Stone’s I felt like their only customer and that they wanted to make sure the home I purchased was going to fit my every desire and need without busting my budget. They are quick to respond to any questions, they will set up as many showing as you need to make sure you find your perfect home, and they will always go above and beyond to make sure you are stress free during your home buying purchase whether it is your first, second, or ninth! We love our new home. Thank you Mike and Deanna, you guys are awesome! 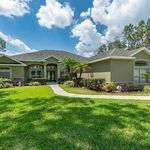 We just closed our home in Lakeland and simply could not be more impressed with the quality of professional service we received. Michael always responds quickly to any question, is highly proactive in resolving issues, and dispenses well thought out advice. You can trust him. They have developed one of the best real estate websites on the market. The Stones can assist you with any conceivable need. They can recommend quality professionals from insurance, home repair, pest control, and many other services. As a deployed service member, I had to rely heavily on Michael to help me close on time and he was there every step of the way looking out for my interests. I cannot give a higher recommendation. The Stones did a great job selling our home in Wyndsor Oaks. Very professional company. Very experienced and knowledgeable Realtors………Very responsive and attentive to details…..You won’t be disappointed selecting this brokerage…..I retained their services three times and all three times they did not disappoint! 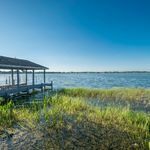 Bought a Condo home in 2016 for approximately $75K in Winter Haven, FL. Excellent professional service. Michael Stone was a pleasure to work with. Located a great property for me, and handled everything in a timely manner for a fast and easy closing. 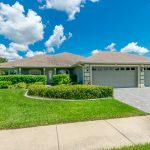 Sold a Single Family home in 2016 for approximately $150K in Winter Haven, FL. Deanna is very professional and knows the business very well. 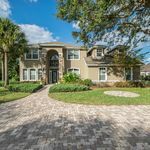 Sold a Single Family home in 2016 for approximately $525K in Winter Haven, FL. very experienced and knowledgable.........very responsive and attentive to details.....you won't be disappointed selecting this team.....I retained there services three times and all three times they did not disappoint me. 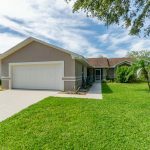 Bought and sold a Single Family home in 2016 for approximately $175K in Winter Haven, FL. I can't recommend The Stones enough to anyone I know! Mike is great to work with and is available anytime I had a question or concern. Over the span of a year, we looked at multiple homes until we found the one we loved. Not only is he great in helping you find that perfect property, he is also great at selling your home as well. The HD photos Mike takes truly helps showcase your home to all potential buyers, and because of this, I received an offer on the 2nd day of being listed. Give The Stones a call to help you buy or sell your home! Absolutely hands down best Realtors ever! I personally have bought from Mike and Deanna twice and send all of my family and friends to them. This experience was so much easier dealing with them. My home was sold faster than I expected and they dealt with so much of the process to where I could just be home with my kids for the Summer. In dealing with an older home we knew there would be some issue that would have to be addressed, so when Deanna called me about them, she would already have a list of companies to call which made the process extremely easy. Not to mention the listing pictures; they came out great and really showed the house well. I will definitely use them for all of my house buying and selling needs. Sold a Single Family home in 2016 for approximately $175K in Winter Haven, FL. Mike and Deanna have sold two homes for us, both of them in record time! Negotiations went smoothly and both times we got the price we wanted! Deanna kept us informed every step of the way! I would highly recommend the Stones without any reservation whatsoever! This is one great team!! Very professional all the way around and top notch marketing and home presentation!!! Thanks guys for a job well done!